Danish jewellery brand Sif Jakobs Jewellery has launched a new collection that promises to offer the brand’s signature elegance and glamour at affordable prices. 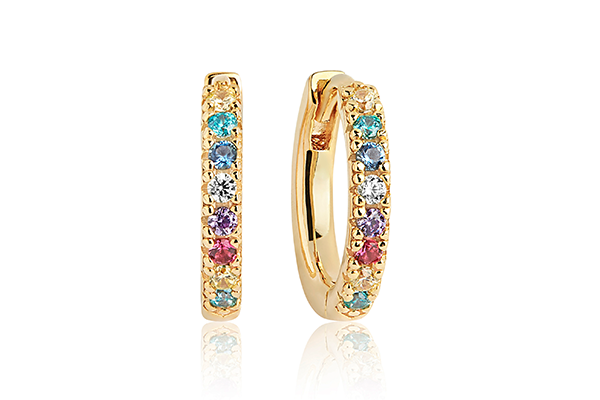 Called Ellera, the collection features on-trend hoop earrings in a range of sizes, elegant rings and – a first for the brand – classic tennis bracelets. Ranging from tiny to small and medium sized hoop earrings, Ellera offers the wearer the chance to style her ear with a multiple pierced look or to wear a single, simple hoop. The matching rings and tennis bracelets can also be worn stacked or alone for a more traditional look, and are the perfect pieces for transcending from day to evening. Ellera is available in sterling silver or 18ct yellow or rose gold plate, set with either white or rainbow coloured cubic zirconia. Sif Jakobs Jewellery has extended its best-selling Rainbow colours throughout 2018, and the coloured palette of stones in contemporary, stylish designs have proven popular with retailers and consumers alike. Retail prices for the Ellera collection range from £49 to £79.